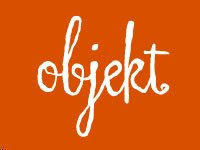 Some of my most recent work can be seen at Objekt on 7th Avenue in Parktown North, the new design hub of Johannesburg. This venue is a real treasure trove and if you haven't yet been in, a treat awaits you. finally had a moment to check out your blog...lekker...please update it daily!! Love the music info in-between.